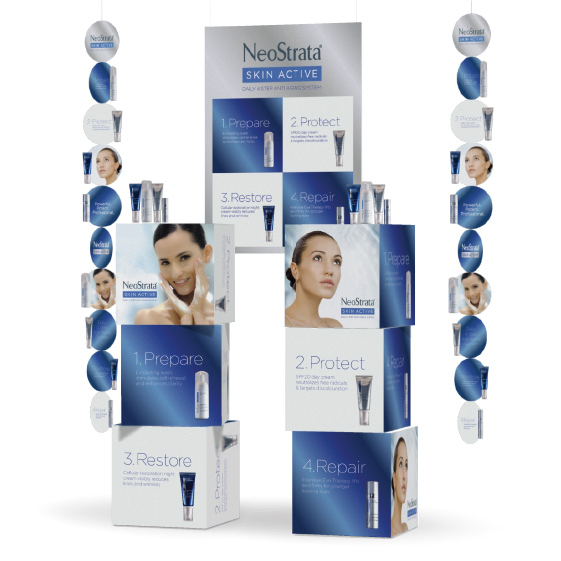 We were asked to develop a retail point of sale display to support the launch of the new Skin Active range from NeoStrata. 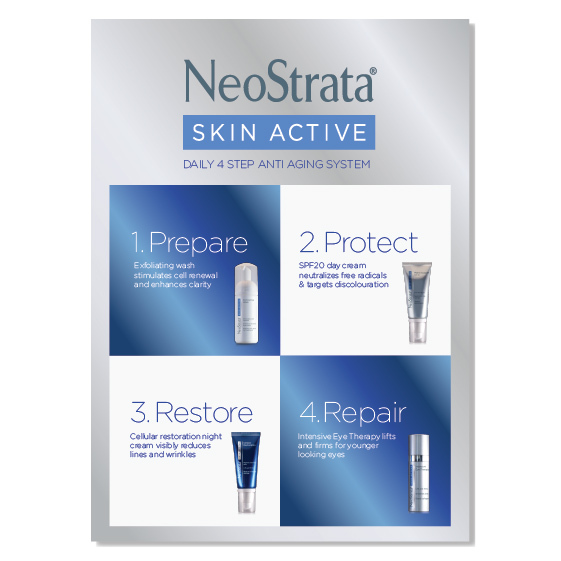 Developed and manufactured in the US and available exclusively in Ireland for the first time, the range is made up of four distinct products which, when used together, target all the visible signs of ageing. The primary messaging would need to introduce Irish consumers to the products’ individual purposes and more importantly their combined effects. 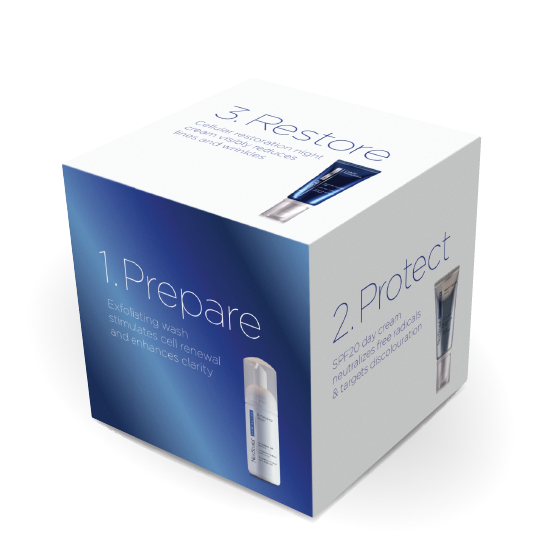 Our new tagline ‘Daily 4 Step Anti Aging System’ was developed alongside a bold graphic panel illustrating each step. 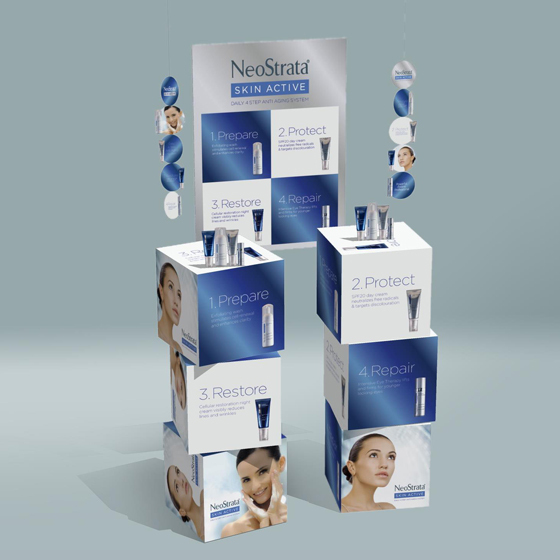 The resulting poster was then rolled out into a full point of sale display suite comprising stackable cubes, hanging mobiles and window clings which have been warmly received by retailers and consumers alike.